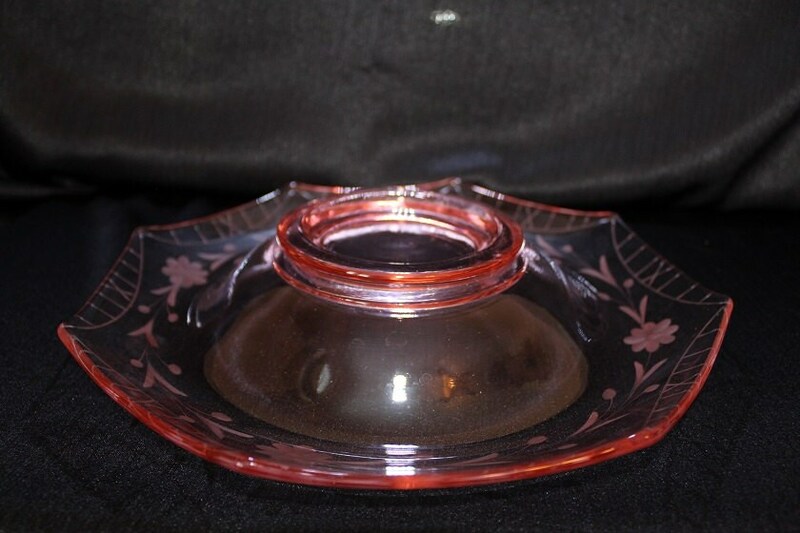 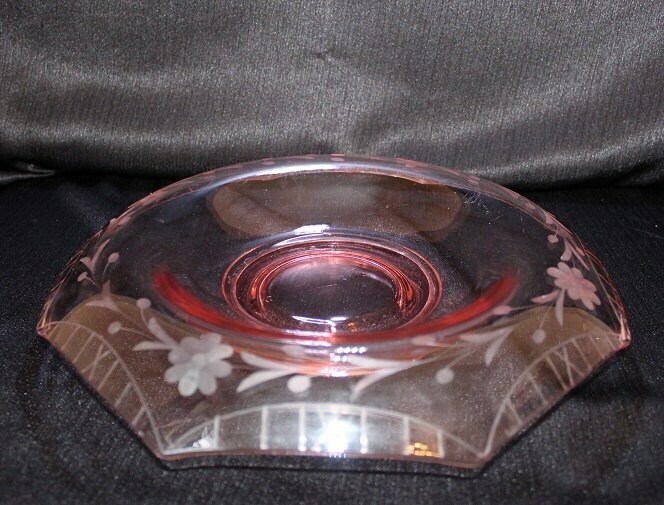 This P vintage pink centerpiece bowl would make a beautiful wedding gift. 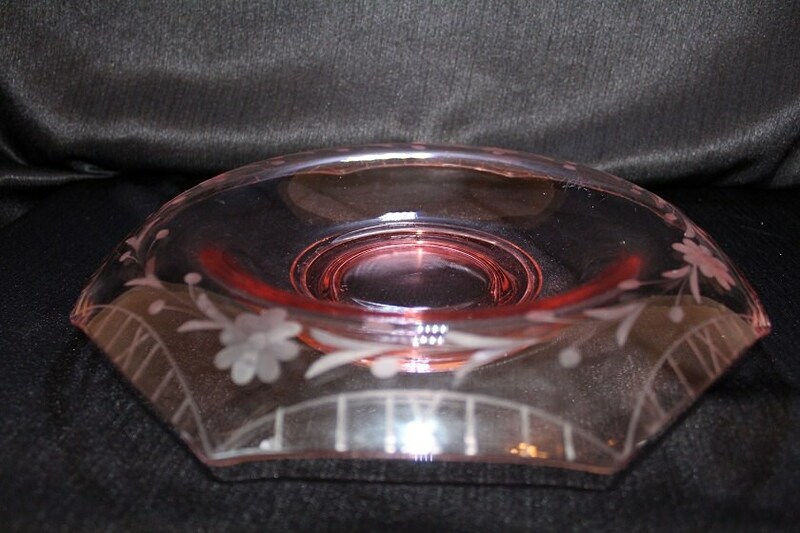 It features an octagon shape with a rolled edge that has a cut flower design on the outside rim. 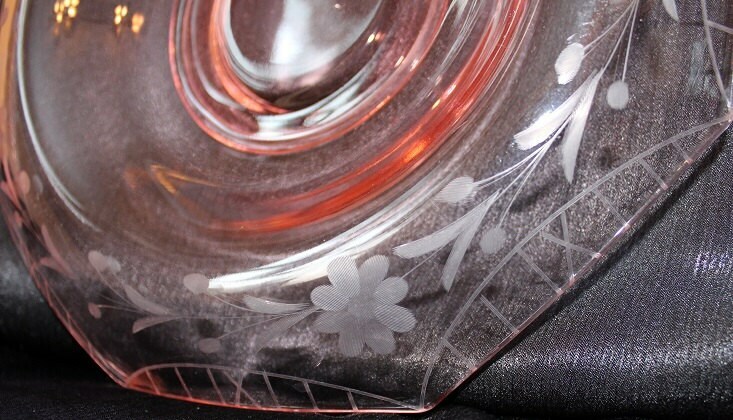 There is a geometric pattern along the outside bottom rim. 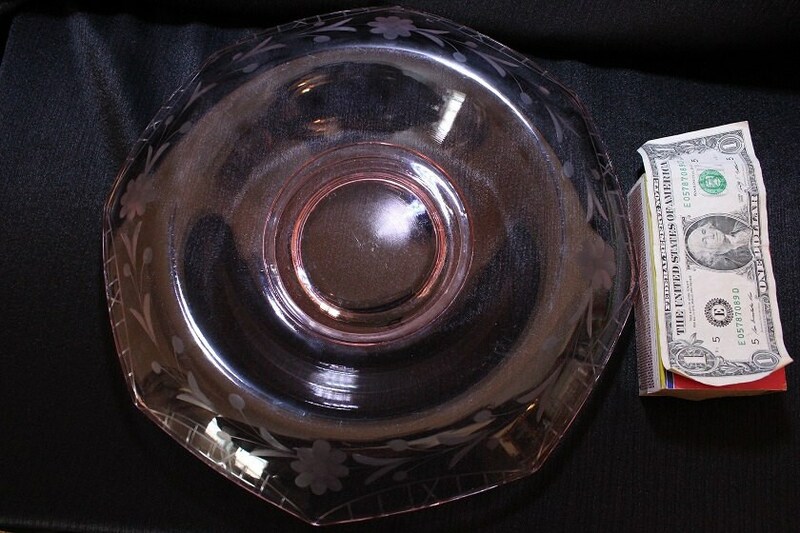 Thanks for your consideration and have a nice day!